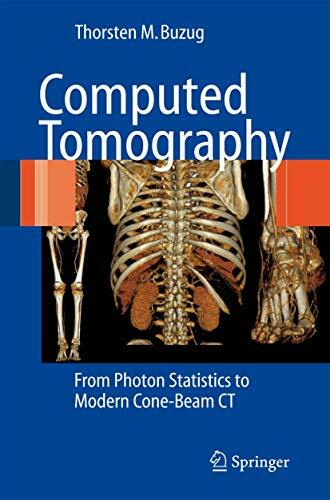 [PDF] Computed Tomography: From Photon Statistics to Modern Cone-Beam CT | Free eBooks Download - EBOOKEE! Description: This volume provides an overview of X-ray technology and the historical development of modern CT systems. The main focus of the book is a detailed derivation of reconstruction algorithms in 2D and modern 3D cone-beam systems. A thorough analysis of CT artifacts and a discussion of practical issues such as dose considerations give further insight into current CT systems. Although written mainly for graduate students of biomedical engineering, medical physics, medicine (radiology), mathematics, electrical engineering, and physics, practitioners in these fields will also benefit from this book. No comments for "[PDF] Computed Tomography: From Photon Statistics to Modern Cone-Beam CT".